Cooler Master announced its Circle Of Champions tournament for Playerunknown’s Battlegrounds on their Facebook page recently, with LXG being proud hosts of the Indian qualifying rounds. 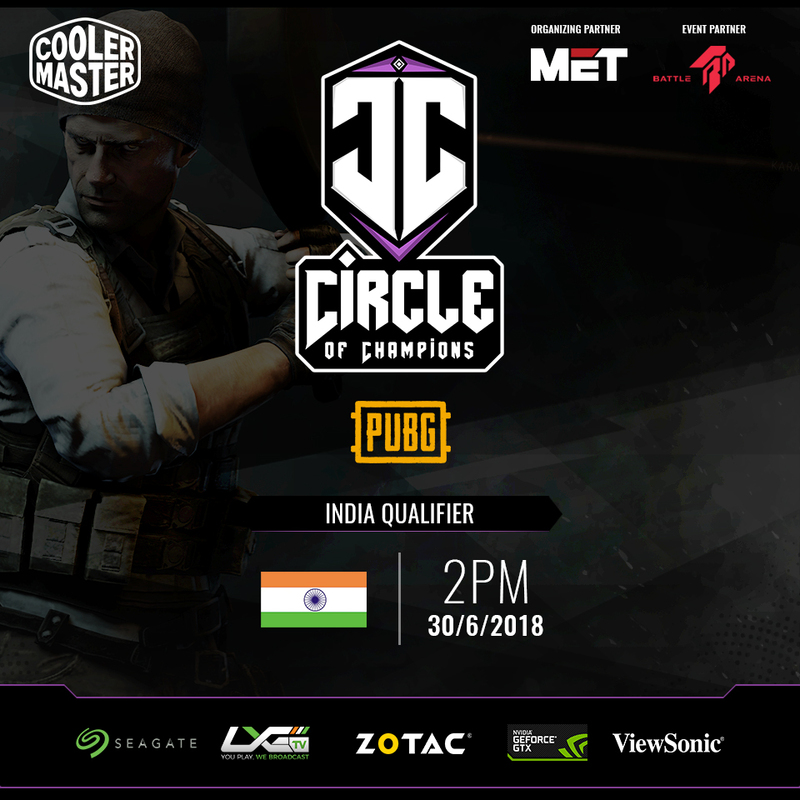 In the first run of the Circle Of Champions being hosted this year, we can expect to see twenty squads battle it out to reach the top, and Cooler Master is giving the Indian community a chance to represent our country amongst these squads. The interesting twist that makes competitive PUBG a gripping watch is jumping into a game while thinking “may the odds be in your favour”. Layer that with the tournament scoring system and you might just realize that a Chicken Dinner isn’t always the way to the top. Fragging out and getting kills being a deciding factor, makes games more intense. Teams now have to play to chase for kills, while finding a balance between running the long game. The Saturday format will pitch twenty squads head to head over six rounds of gruelling combat, so keep your weekend free, participants and viewers alike. Either to binge on or to compete through intense gameplay and PUBG action. With both battle royale maps in play you can look forward to three rounds per map, with one round per map being played in third person view, and two rounds per map being played in first person view. 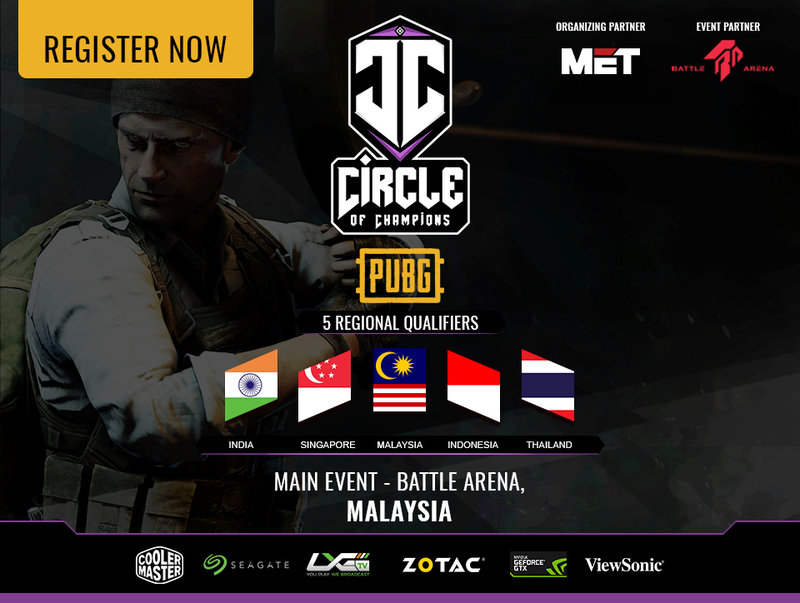 The team with the highest total score by the end of round 6 is going to represent the Indian PUBG community in Malaysia for the Circle of Champions finale and international glory! The competition is going to be tough, but incredibly rewarding as winners and runner ups from India also get to take home some Cooler Master peripherals. Signup criteria allows for five people to sign up per team with four participating, and each member needs a valid Indian passport at time of registration. Good news to all the streamers looking to participate, the qualifier round this weekend can be streamed on your personal channels, but a minimum delay of five minutes must be added, failure to do so could lead to a suspension. If you want to watch the action first hand, here’s where you can catch it.